Over a year ago, we were introduced to Plantronics’ new venture into the high-end mobile audio space with its acclaimed BackBeat Pro. In our own review, we were astounded by its feature-rich package that included active noise-cancellation, long range Bluetooth connectivity, cushy feel, quick charging, and enhanced audio amplification courtesy of its OpenMic feature. For its successor, Plantronics is utilizing the same strategy we’ve seen them use in some of the products in its portfolio. Rather than producing a true successor, the Plantronics BackBeat Pro+ sees a single, major new addition to its arsenal, which we’ll reveal a bit later on. It’s priced higher at $299.99, but let’s figure out if there’s sufficient justification in snagging it. 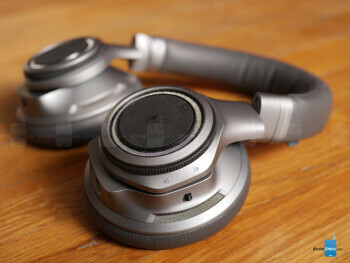 Considering it’s not a real successor, the Plantronics BackBeat Pro+ recycles the design we’re familiar with. While the design and aesthetics remain unchanged, what does change is the paint job. In general, it’s adorned in the same greyish gunmetal paint job from before, but instead of finding purple accent colors lining the mesh grill of each ear cup, it’s been replaced by plain old grey – matching the body, making it uniform looking. That’s essentially what’s different about its design, as the rest is unchanged from before. It continues to utilize the same plastic build from before, which gives it a lightweight feel for its size, but it doesn’t particularly exude a premium finish. As for its fit and comfort, there’s very little to complain about, mainly because it’s adequately padded around the headband and around each ear cup. In fact, it’s something we recommend for those long flights – or situations that put you into a relaxed mood. For those with a more active lifestyle, however, there’s a bit of ‘looseness’ and ‘give’ when it’s worn. In this case, it’s not something that would be ideal for running or workouts that involve intensity. 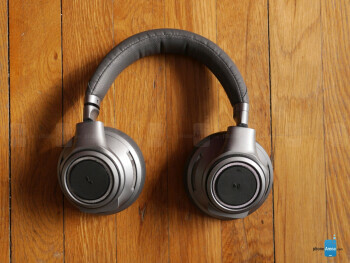 Although it’s not a killer feature that many audiophiles seek after, the Plantronics BackBeat Pro+ continues its sibling’s offering of extensive connectivity courtesy of its Class 1 Bluetooth 4.0 technology – delivering around 50 feet of range indoors, where walls tend to complicate the reach of most devices. If Bluetooth isn’t your thing, there’s an integrated 3.5mm jack that provides a direct, wired connection to a device. Just like before, too, there’s an NFC chip embedded into the outer edge of the left ear cup. Pairing is a simple process that’s done with any NFC-enabled device by hovering it over the surface, but the usual pairing method is there as an alternative. Being one of the most features rich pair of Bluetooth headphones on the market, it’s no surprise that noise-cancellation is on board with this one. When it’s enabled, background noise is minimized to keep focus on the music that’s playing. However, we wouldn’t say it’s the best-of-the-best at definitely muting all noise entirely. There’s still some noise that can be heard, but it’s nonetheless subdued. Oppositely, the same lovable OpenMic feature is a useful one that gives us Superman-like hearing. Pressing the OpenMic button, the music slowly fades – while the audio that’s being picked up by the mics are amplified. This is particularly practical for those situations when someone talks or asks you a question, just because rather than removing the headphone to listen to them, the OpenMic feature amplifies voices so they can be heard through the headphone clearly. Another feature worth pointing out are the smart sensors, which knows when the headphones are worn or not – causing music to pause when it’s removed, and then resume play once it’s back on. The same 40mm drivers help produce the potent mixture we’ve been exposed to before with its sibling. Trust us, it doesn’t disappoint thanks in part to its crisp volume level and emphasis on lower audio ranges. Meaning, it’s one for the bass lovers, as it rumbles with the heavy beats. Indeed, audio in the mid and upper ranges can be subdued due to this, but it’s not totally too overpowering. All told, it’s the same punchy audio quality from before. So, you’re probably scratching your head and wondering what’s new about this thing – besides the accent color. Well, the “+” in its name pertains to the Bluetooth adapter that’s packaged along with it. Yes, you heard that right! It’s a Bluetooth adapter that plugs into the USB port of your computer, which graces the PC with Bluetooth connectivity. While it’s a nice gesture on Plantronics’ part, most computers nowadays have integrated Bluetooth radios, so this would be redundant. 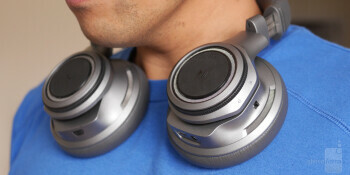 However, for those without one, this allows them to pair with the BackBeat Pro+. Plantronics claims that it can achieve a maximum continuous time of 24 hours with its battery life. Needless to say, that’s one bold and ambitious claim, but in our real world experience, we’re able to get roughly 14 hours of mixed usage. 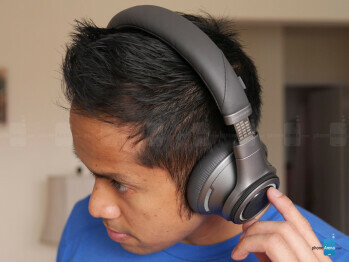 Although it’s short from what Plantronics claims, it’s nonetheless an improvement over last year’s offering. Obviously, higher volumes and enabling active noise-cancellation depletes the battery at a faster rate, but we’re still pleased with the results. Priced higher by $50 this time around, the Plantronics BackBeat Pro+ is a tougher sell than last year’s original model in the BackBeat Pro. As we’ve detailed, the only difference here is just the accent color of the headphones and the included USB Bluetooth adapter. At $299.99, that’s one tough justification in picking it up over the original model, which can be bought for around $180 through various online retail channels brand new. Considering that the features of the headphones and its performance haven’t changed, you might be inclined to buy the former product just for the additional savings. 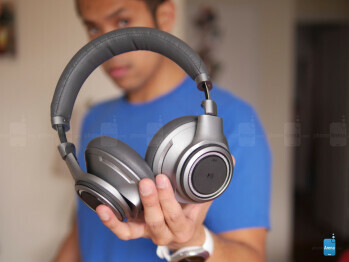 At the end of the day, the Plantronics BackBeat Pro+ is still one incredible pair of over-the-ear Bluetooth headphones, as it’s unrivaled with its packed features, but the higher cost attached to it makes for a tougher buy.